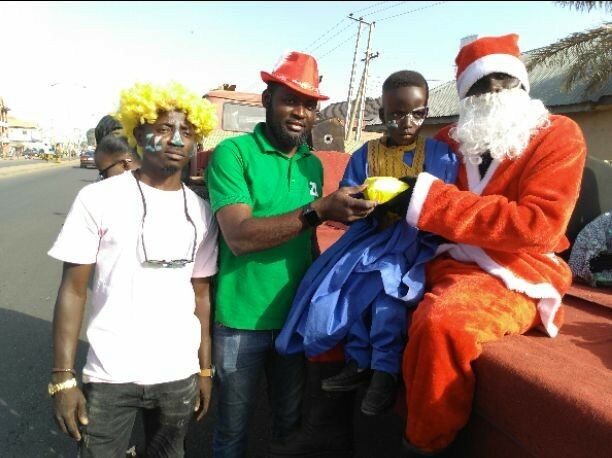 As millions celebrate Christmas across the globe today, the key solid waste management company engaged by Kaduna State government, ZL Global Alliance on Tuesday (25/12/2018) celebrated the season with less privileged children with fanfare. The company, which paid a surprise visit to these category of children at Signboard, Sabo market and Mararaban Rido, all within Chikun local government area of the state so these category of children can have the feeling of the season. Speaking to newsmen, Managing Director and Chief Executive Officer of the Company, Abiola Bashorun said, the reach out became necessary as part of the community services to the state. Abiola Bashorun, who spoke through her Operation Manager AbdulJelil Lateef said, “the aim was to reach out to the less privileged children so they too can feel this season of love, affection and sharing. “It is happening here in Sabon Tasha and Mararaban Rido. It is just like helping the less privileged as part of community services this season we are. We are here to give the less privileged children in this area food and drink. “We are here with mobile DJ to play the kind of music these children can dance to and have the feeling that people love them and that is why we called this ZL Kiddies Fanfare With Santa Claus. He however used the opportunity to call in the people to support the state government and the company in their efforts towards making the state second to none in term of sanitation best practice in the country. “We want to use this opportunity to tell the people in this area to understand that the administration of Mallam Nasir El-Rufai is working seriously to make sure that we have a cleaner Kaduna. “The best we can do is to carefully bag our refuse, our cabbage and all that and drop them at the designated spots. “We have 3 pieces of 20 tons refuse container and other smaller ones here in Sabon Tasha alone. So, we are calling on our people to do the right thing by stop indiscriminate dumping of refuse in the road”, he urged.